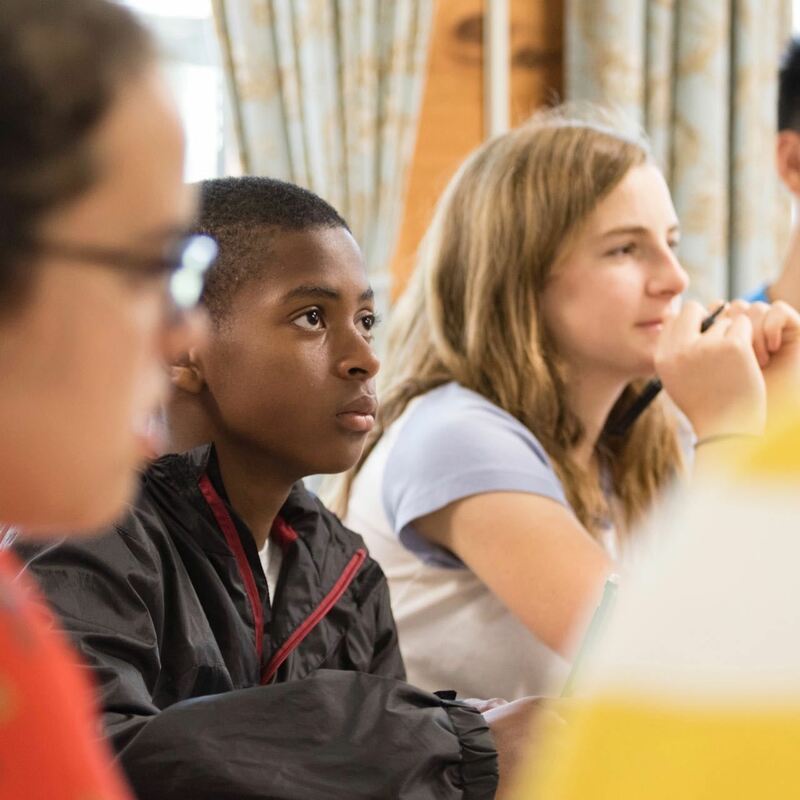 Since its founding in 1972 by Josée and Philip Waring as an alternative approach to schooling, Waring has set itself apart by its commitment to creating an environment where learning can thrive. We strive to maintain a culture that honors and supports the human desire to learn. Waring is accepting applications for 2018-19. Contact Waring Admissions with questions. 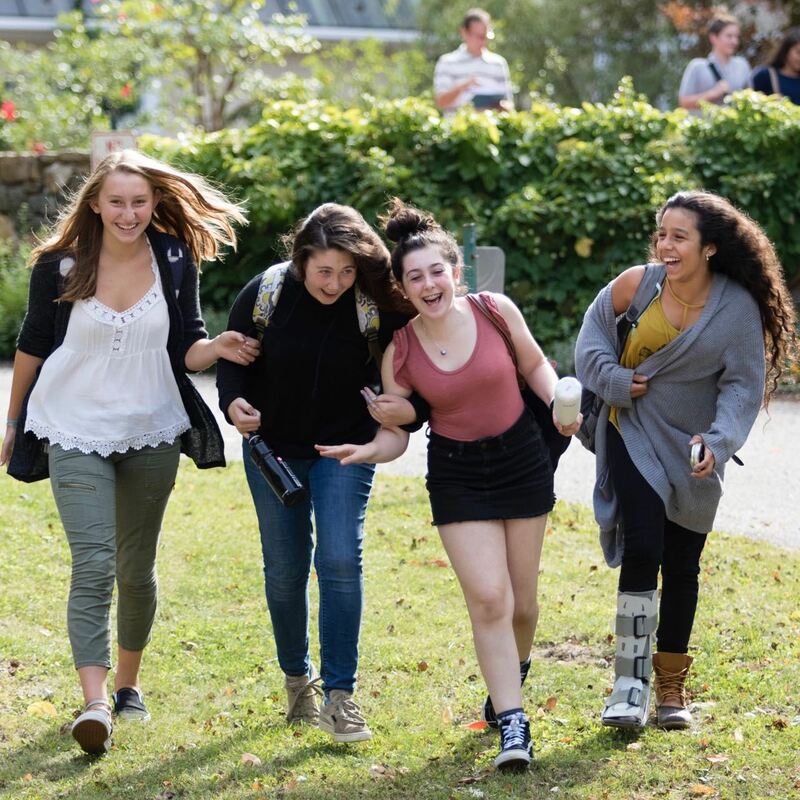 Waring offers a full program of intellectual, aesthetic, and physical activities for its students. 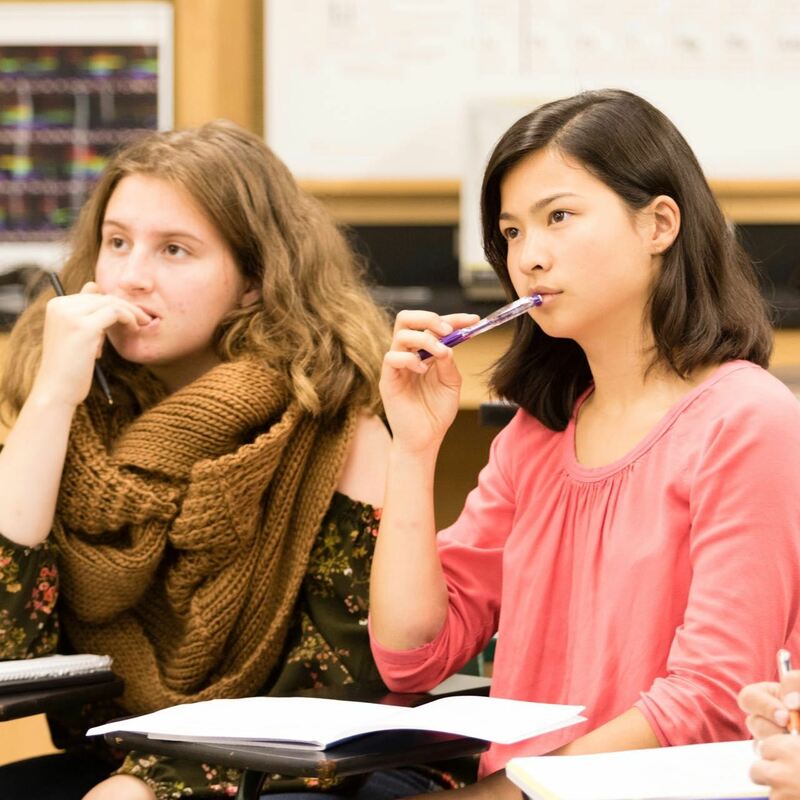 The program balances academic rigor with breadth and asks all students to work not only in Humanities, Math, Science, French, Art, and Writing, but also in Theater, Athletics, Music, Travel, and short-term intensives like Camping Trip and the Endterm program. “Waring sports teams maintain a competitive attitude against other teams while fostering a huge amount of support and love for each other. I feel confident in my abilities as an athlete post-Waring, but I also feel confident in my ability to be a good teammate. This relates back to the classroom, and any environment because Waring sports has helped me become a good peer." 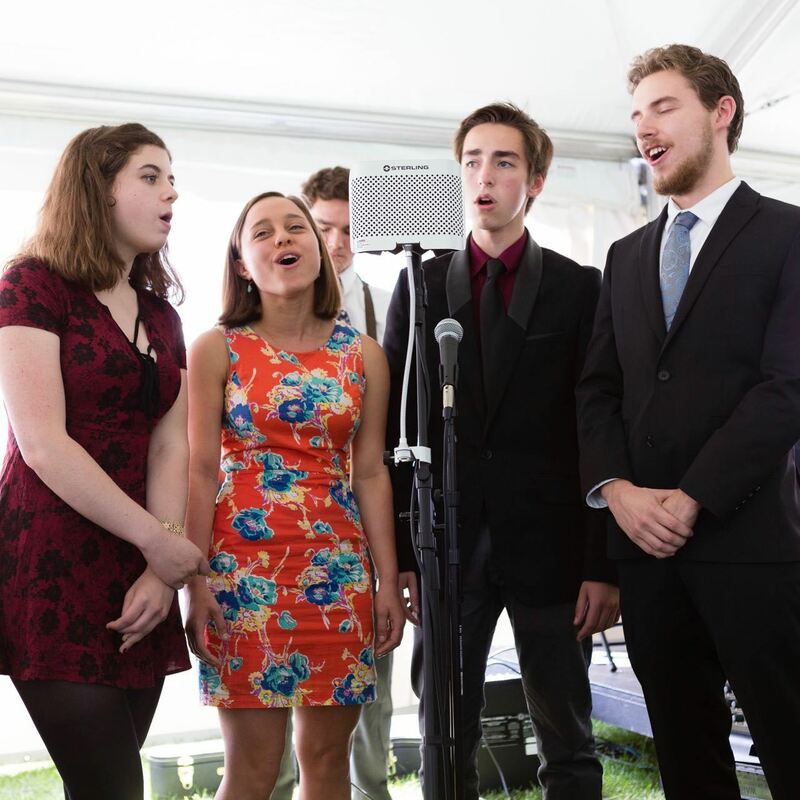 At Waring we believe that finding your voice through small studio arts and crafts, musical study, and theatrical production, will help you find your voice in the world. We ensure that many forms of art are incorporated in students daily lives in order to foster a love of culture and the world around us. 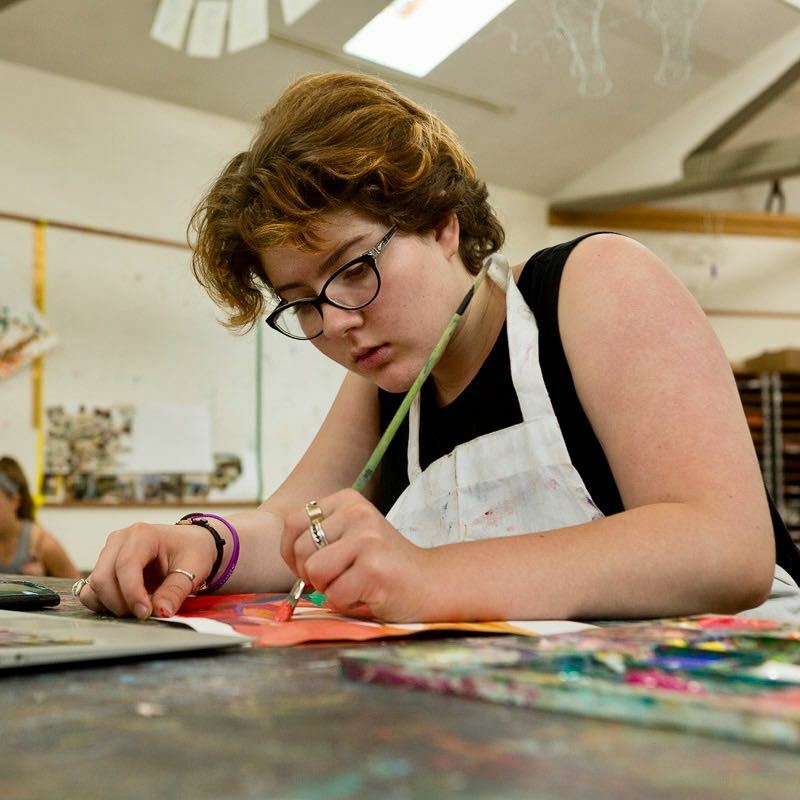 Whether practicing a violin concerto, printmaking in the studio, discovering the world through a camera lens, or acting in a classic or avant-garde production, the Waring Arts program has something for everyone. Here, you will often spot musicians rehearsing in their soccer uniforms or students jogging from Chemistry lab to Theater rehearsal. 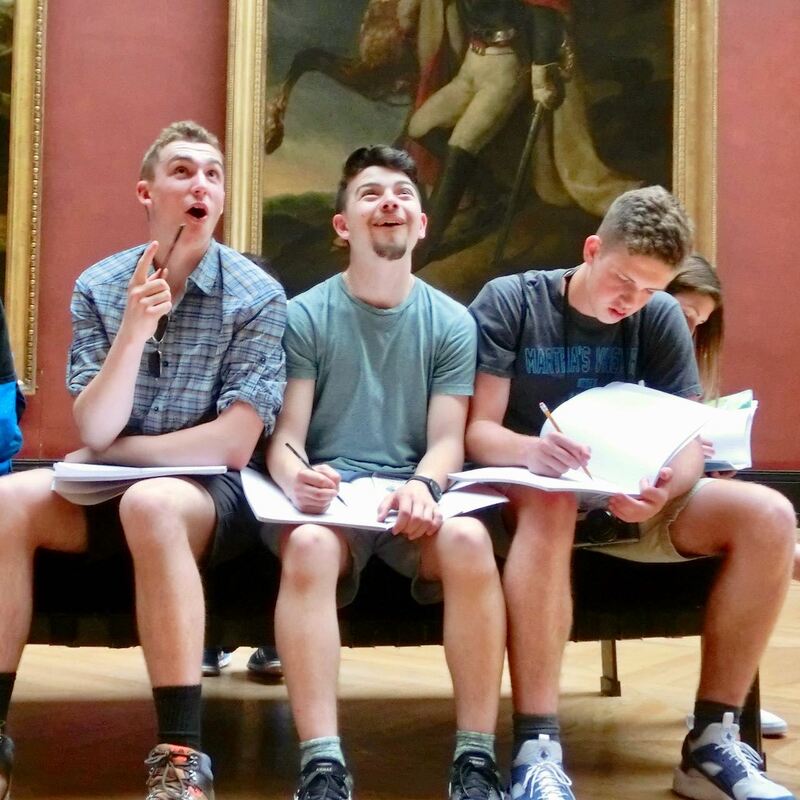 Waring School’s educational program is based on the premise that, in order to learn, students must be challenged with worthy intellectual material, exciting creative projects and ample opportunities to display their talents and expand their ideas through meaningful interactions with peers and adults. 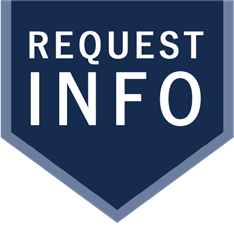 As an independent school, Waring does not receive grants or aid from federal, state or local governments. Tuition only covers a portion of the actual cost of each student’s education. Tax-deductible contributions to the Waring Fund make up the difference. Elizabeth Patrick '19, who led Waring Lacrosse with 59 goals this spring, was named to Boston Herald's All-Scholastic 2018: Prep/Private Team. Elizabeth was one of only four girl lacrosse players from across the state to be honored by the newspaper. Earlier this spring, Elizabeth was also named lacrosse MVP of the Independent Girls Conference for the third consecutive year. In the summer, Elizabeth plays for the Mass Elite Lacrosse Team. With wet weather impacting the Waring lacrosse game schedule, both the boys and girls were finally able to get in their first matches of the season last week. The girls got by Gann last Tuesday with an 18-6 win, while their game against Beaver Country Day was lost in the last 10 seconds of the game with a final score of 18-17. Elizabeth Patrick had 10 goals in the loss while Ceceila Russell played well in net for Waring. Waring would like to congratulate Jared Wood, Elizabeth Patrick and Ella Bellin. These three outstanding student-athletes were named most valuable player for their respective leagues, earning them a spot as a Globe All-Scholastic. The Waring School Athletics Department hosted a 5K fundraiser that raised a total of $1,158 to benefit hurricane relief. Read the full story in the Beverly Citizen HERE. Waring will send both the boys and girls soccer teams into the Semi-Finals of their respected leagues this Wednesday, November 1. The girls will take on the number two seed, Brimmer and May at Brimmer. The girls split with Brimmer during the regular season, and lost out on home field advantage for the Semi-Finals on goal differential. Kickoff is set for 3:30. The boys, who knocked off Newman 3-1 in their Quarter-Final win last Thursday will take on Gann Academy, the number one seed in the tournament. The game is set to kickoff for 3:15 at Gann Academy. The cross country team will run in their final meet this Wednesday, November 1, at Chapel Hill Chauncey Hall School. Senior Ella Bellin, who is undefeated this year in league races will lead the way for Waring. There is potential to bring home individual honors on both the boys and girls side, while the team will be vying for their best team finish of the year. Under the leadership of Tri-Captains Jared Wood, Sascha Denby and Hunton Russell, the Boys Varsity soccer team has earned fourth place in the MBIL regular season and will host Newman tomorrow in the first round of the Mass Bay Independent League playoffs on the Mine Field at 3:30pm. Waring alums, Nick Wigglesworth (Hobart Soccer) and Aidan Wood (Hamilton Soccer), played an important role in last weekends' games for their respective schools. Nick scored his first goal for the Statesmen, giving the team one of the two goals it needed against Vassar for the 2-1 win. The win lifted Hobart into first place in the Liberty League with two games to be played in the regular season. Junior Ella Bellin has crossed the finish line as the fastest girl in the MBIL for the first two meets of the 2017 season. She has yet to get into her end of season form, which saw her achieve her personal best of 20:58 last year on the Cambridge School of Weston’s course in Jericho Forest, but she feels good about her latest time of 22:15. In a rematch of last year’s MBIL final, Waring played a nice brand of soccer at times but didn’t get the result they were hoping for as they kicked off at home yesterday against rival Gann Academy. Seniors Mike Ballin and Josh Gabay were featured in the Salem News for their outstanding lacrosse careers at Waring. You can read the full article HERE. The Waring Wolfpack are 2016 MBIL Soccer Champions! The 4th seeded Wolfpack knocked off the number 1 seed, Newman, in penalty kicks yesterday, only to go back out on the road today and play in the finals at Gann Academy. Cole Sauder scored the game winning goal midway through the second half off an assist from Sascha Denby. Sascha and his brother Owen controlled the middle of the park for Waring, while the tandem of Mike Ballin and Jared Wood stymied Gann's attack, helping to give goalkeeper Hunton Russell the shutout. The Waring Cross Country team placed fifth in the MBIL championships today at Chapel Hill Chauncey Hall. The team is led by senior captain, Sam Lincoln, who unfortunately has been out of competition for the past three weeks with an ankle injury. This didn't stop the senior leader from helping his team in other ways to Waring's best team finish in school history. Today's race saw many personal bests, but the most notable was Junior Ella Bellin's time of 21:20. Ella also earned the league's Most Valuable Runner award, another first for Waring Cross Country. Rounding out the All-Stars were Juniors Sophia Bereaud and Carly Comporato for the girls, while Freshman Will Stomberg represented Waring on the boy's side. Goals from Senior Amanda Adams and Sophomore Sara Wheeler were not enough to knock off the number 2 seed Montrose, who out scored the girls 3-2. Montrose will play Brimmer and May today in the IGC Finals. The Waring boys came from behind after going ahead 1-0 in the first five minutes of yeserday's game. Coach Jack Lindsay’s halftime constructive approach helped to give the boys a boost, after being down 3-1 at the half. With twenty minutes to play in the second half, the scoreline was 3-2. As the game approached the 15 minute mark, the teams exchanged counter attack after counter attack, with Newman going ahead 4-2. Waring jumped back on the scoreboard minutes later with a knock in off a dead ball from center back Mike Ballin. Sascha Denby scored his third goal of the game to make it 4-4 in the waning minutes of the match. Former Waring Soccer Standouts, Aidan Wood (Hamilton), Nick Wigglesworth (Brandeis), and Kyle Patrick (Hobart) are all settling in nicely with their respective collegiate programs. All three have earned minutes with their teams this fall, with Wood playing in in all four games for the Continentals, Wigglesworth playing in three out of five for the Judges, while Patrick received his first two starts against Rochester and Potsdam. Waring Athletics wishes these alums luck as they make their way through the remainder of the season! The Waring girls honored one Independent Girls Conference All-Star in Sophomore, Holly Stam, while the boys honored three Mass Bay Independent League All-Stars in Senior Tri-captains, Jacob Vaneck and Dylan Macy, along with Junior point guard Olin Goudey. Tri-Captain Aidan Wood was honored as MBIL B Division MVP. The Waring boys will take on Boston University Academy in the MBIL Division 2 championship game in the Waring school gym on Friday, February 12th at 4:30. Waring was the number 1 seed at the end of the regular season, while Boston University Academy was the number 2 seed. The two teams split games during the regular season. The final will be a hard fought game for sure. Waring seniors Kyle Patrick, Hobart College; Aidan Wood, Hamilton College; Nick Wigglesworth, Brandeis University; and Adele MacEwen, Vassar College were recruited to take their athletic abilities to their respective schools next year where they will compete at the NCAA division 3 level. All three boys were recruited for soccer, while MacEwen was recruited for lacrosse. Waring Senior Aidan Wood was named to this year’s Boston Globe and Boston Herald All-Scholastic Teams. Check out the Boston Globe's full write up! Senior Forward Aidan Wood has been named a 2015 Salem News Boys Soccer All-Star. In addition to this accomplishment, Aidan was named the Mass Bay Independent League MVP. Congratulations Aidan on your stellar season! You can read the Salem News write up on Aidan along with the other 2015 All-Stars HERE. Congratulations to Nat Lyman '15 and Adele MacEwen '16 who were chosen for the 2015 Boston Globe All-Scholastic Team for lacrosse! 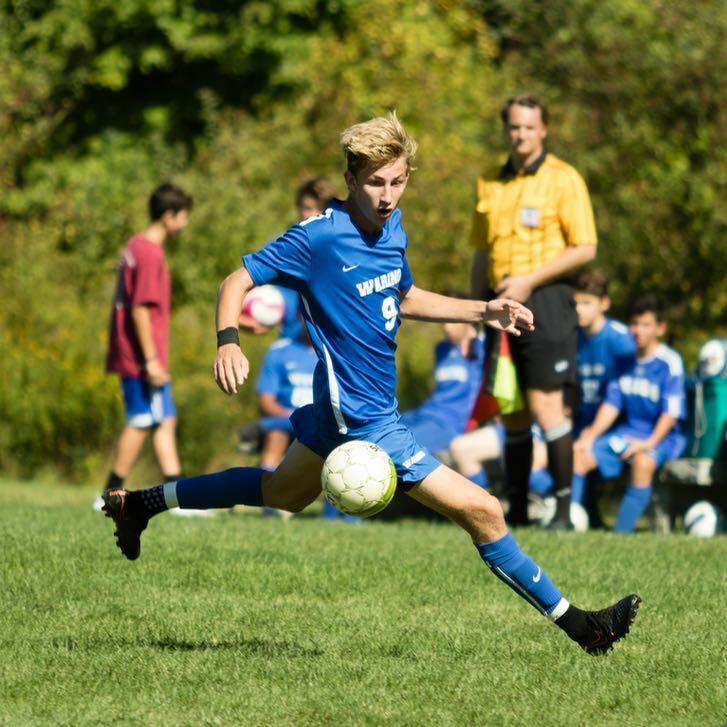 Junior Aidan Wood was selected to the New England Prep School Soccer Association Junior All-Star game that took place at Loomis Chaffe on Sunday, November 15. The Waring boys will take on St. Andrews of Barrington Rhode Island on Wednesday, November 12, at 2:00pm. The game will be played at St. Andrews, the third seed in the tournament. Coach Jan Lindsay knew what she was doing when she subbed Sammy Stewart (Alum '07 and Boy's Assistant Coach) into the game with under 10 minutes to play in the second half. Sammy scored on a beautifully placed corner kick by Dean of Faculty, Francis Schaeffer, to put the faculty up 1-0. "I remember watching Sammy play when he was a student at Waring," said Lindsay. "He was a special player, and obviously still is. We needed a spark, and Sammy provided it for us." For the MBIL and IGC champions, it was a tough defeat. "We had high hopes this year," said senior Nat Lyman. The faculty are now 3-0 in the annual series. The weather will be chilly, but the game is scheduled as planned. It should be an exciting match, featuring our IGC and MBIL student champions vs. a faculty-senior parent team of sophisticated and highly accomplished adults. How does that equate to an exciting match? Come cheer on either side at 3:30pm today on the Mine Field and find out. The Waring School boys varsity soccer team defeated Cambridge School of Weston 3-1 on Wednesday to become champions of the Mass Bay Independant League. Waring won the title at home in front of a packed crowd of Waring and CSW fans. Senior Isaac Stuart scored once and junior Aidan Wood scored twice, while recording an assist, all within the first half. The second half saw Waring continue to dominate the game with the majority of possession as senior Nat Lyman and junior Nick Wigglesworth controlled the middle of the field. The Waring defense, led by seniors Adrien Hupin and Isaac Ogle, snuffed out all but one late CSW attack. A true team effort, every member of the team played a role in the victory. The Waring School's girls soccer team captured their second straight Independent Girls Conference title with a 1-0 win over Montrose on Election Day. Sophomore Amanda Adams scored the game's only goal late in the first half, and freshman goalkeeper Holly Stam along with the backline of freshman Grace Symes, sophomore Merilyn Hinrichs, senior Brooklyn Stam and junior Grace Gustaferro stymied a ferocious Montrose attack. Boys Varsity Basketball Wins Championship! The Waring boys brought home their second MBIL Championship last weekend. According to the Salem News "Waring would not be denied..." You can see the game winning free throw on our YouTube Channel. "[Amanda] Adams, a forward, scored 36 goals in her freshman season at Waring and was named the IGC MVP. Adams is a three-sport athlete, playing basketball in the winter and lacrosse in the spring"
The Waring School offers a highly demanding college-preparatory education, for grades 6-12, which stresses liberal arts in the setting of a supportive school community. The Waring atmosphere is one in which both teachers and students want to learn and believe that school is not an end in itself but is the beginning of a lifelong learning process.